A ginormous Boeing 747 LCF Dreamlifter, a plane big enough to hold parts to build other huge planes, left New York City’s JFK Airport for McConnell Air Force Base last night, but ended up in Kansan purgatory. 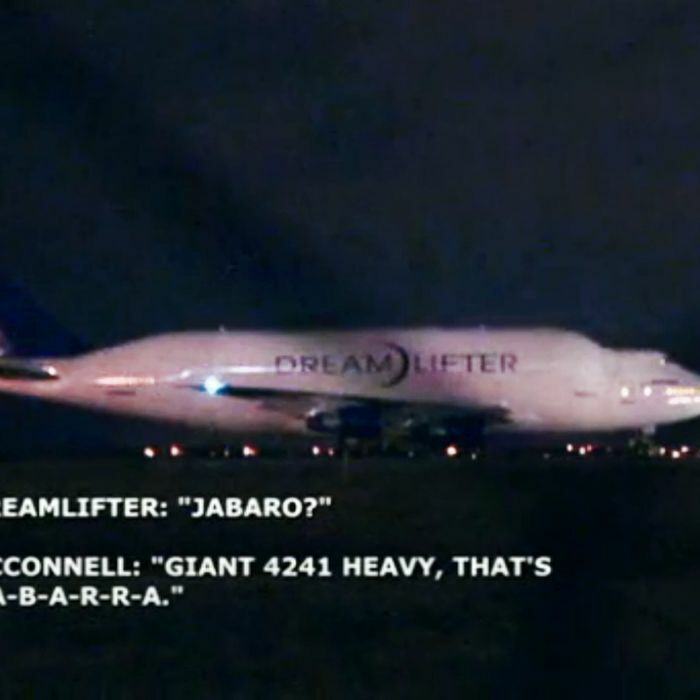 The pilots seemed stunned when they were told they’d mistakenly landed at Jabara Airport, where the runway is only 100-feet wide and not long enough for the Dreamlifter to take off from. Welcome to Kansas — forever. The jet will attempt to take off at noon, and surely things will go smoothly. Update, 3:35 p.m.: The plane has taken off successfully. The nightmare is over.